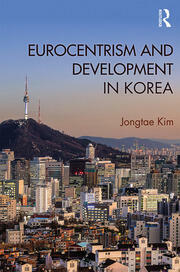 Jongtae Kim is Humanities Korea Research Professor in the Asiatic Research Institute at Korea University, Seoul. He earned his Ph.D. in sociology from the University of Illinois at Urbana Champaign, U.S.A. (2011). His research interests include development studies, global sociology, and historical-comparative sociology, with a regional focus on Korea and East Asia. Jongtae Kim is Humanities Korea Research Professor in the Asiatic Research Institute at Korea University, Seoul. He earned his Ph.D. in sociology from the University of Illinois at Urbana Champaign, U.S.A. (2011). His research interests include development studies, global sociology, and historical-comparative sociology, with a regional focus on Korea and East Asia. Before beginning his academic career, he worked as a journalist for about ten years (1994-2004) for The Hankyoreh, a leading progressive Korean daily newspaper based in Seoul. B.A. Korea University, Seoul, Korea, 1991. M.A. Arizona State University, Tempe, USA, 2006.